Congratulations to Sagewood Cafe for winning the October Selati Cafe of the Month Award! They walk away with R2000 worth of Selati Sugar products for their cafe! (Find out more details about how we're celebrating cafes in partnership with Selati here.) We caught up with Head Chef and co-owner Gregg Oosthuizen to hear about his journey with coffee. 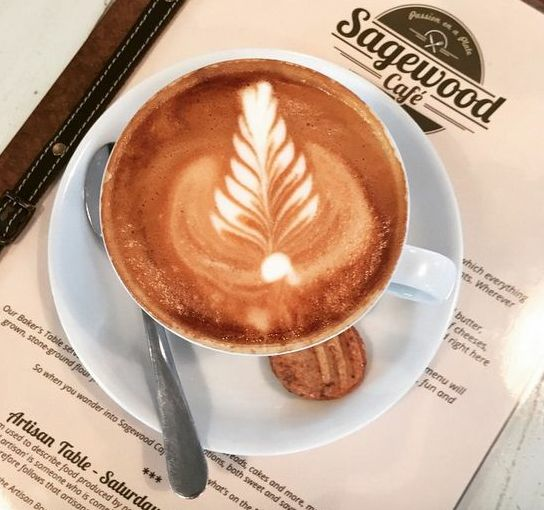 How did a passion for delicious food lead you to Sagewood Cafe and a passion for coffee? I think anyone who has travelled through the Natal Midlands and explored a little, quickly realises the beauty and bounty of what it has to offer. As a chef, it offers the potential for localised and sustainable approaches to food security. Seasonal ingredients to create with and an artisanal place to live in that just simply inspires. I started exploring the Midlands in the early 2000’s and knew then already that it was special and my dream was to eventually get here and have a restaurant. 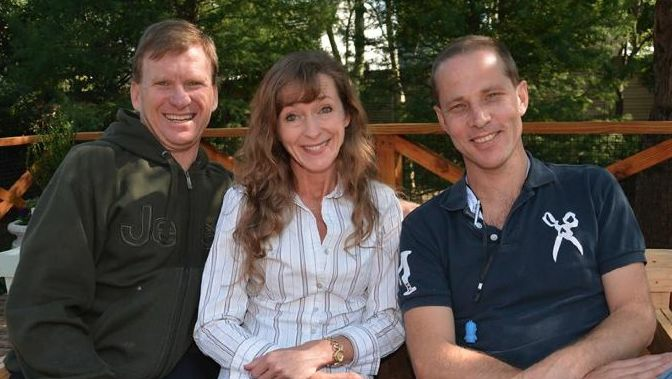 So from just putting it out there in those early days, I have slowly but surely meandered my way into it through an amazing tapestry of life experiences in and out of various kitchens both locally and abroad.. My partners, Con and Sue Malherbe who own Coffeeberry Café, and I met in late 2012. Since then we have developed and forged a relationship which has culminated in a successful partnership at Sagewood, and although we are based in Pietermaritzburg, Sagewood really is a little Midland’s oasis along the river in the hustle and bustle of the city. Our Coffee is sourced through the passionate and artisanal hands of Terbodore Coffee Roasters in Curry’s Post. With partnerships like this, it’s not difficult to find your purpose. So, my relationship with food and coffee has grown and continues to grow everyday, supported by a great team and a desire to put out the absolute best we can. We have two hoppers available daily. One is our Signature Sagewood blend. This blend I created with Sinjon from Terbodore. It is a medium to dark roast blend which has a pretty strong, rich flavour. I like it for it’s chocolatey dark tones. 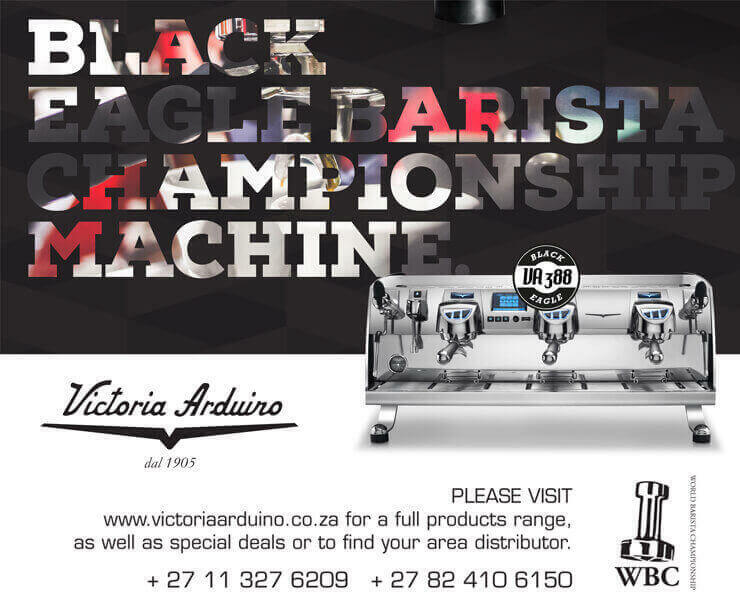 It’s quite full bodied and gives a pleasant coffee experience to our customers. You could say it’s more neutral than the lighter roasted beans and so appeals to a wider range of palates. Our second hopper has a single origin organic Ugandan bean which is more to the medium light roast. The profile is more fruity and a slightly more acidic. It gives a more creative flavour and lively personality. This one appeals to the more experienced coffee drinker. The idea is to offer the customer the choice of coffee experience. What is your favourite part of running a cafe? When things are flowing in the shop, the experience can be pretty exhilarating. A flawless service with great food, coffee and our other treats coming out the way it is designed to. Happy staff and customers. Those are the moments when I just love the restaurant business. The experience of it all coming together like an orchestra gives me a profound sense of pride and goosebumps all over. What would you say is the one item on you menu that people HAVE to try when they come visit you? Thanks again Selati and Coffee Magazine, looking forward to using the Selati range of sweetners!